This Confucian shrine was built in Seoul in 1398, the seventh year of the reign of King Taejo (r. 1392-1398), the founder-king of the Choson Kingdom (1392-1910). 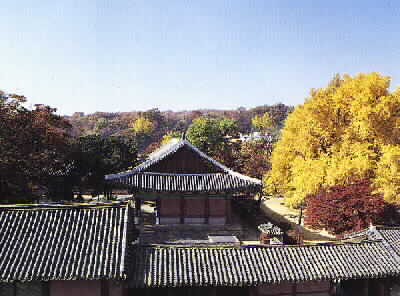 It was destroyed by fire two years later and restored in 1407, the seventh year of the reign of King Taejong (r. 1400-1418). It was destroyed again during the Japanese Invasion in 1592 and restored almost completely over a five-year period that began in 1601, the 34th year of the reign of King Sonjo (r. 1567-1608). The restoration was completed in 1869, the sixth, and last year of the reign of King Kojong (r. 1863-1907). 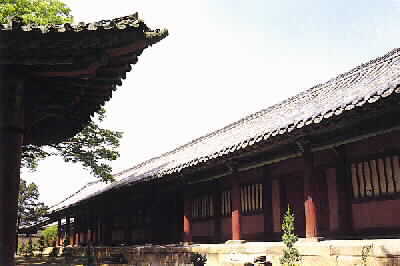 Tablets to Confucius and other famous Confucian scholars are enshrined in the main building, Taesongjon. There are also two dormitories, a Confucian school called Myongnyundang, the main gate, and an auxiliary building called Chongyonggak. Here, the space for the shrine is located behind the one for study. The premises cover an area of 40, 461§³.